Welcome to 21st century directional drilling and well planning. 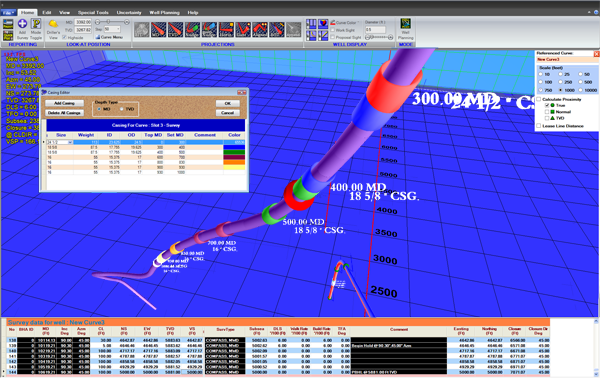 HawkEye™ takes directional drilling and well planning to the next level with a rich 3D interface, powerful projections and professional anti-collision reports. The industry has already embraced the cost-saving and time-saving potential of this third-generation program. No rival has the sheer visual impact of HawkEye™ combined with plot and report generating capabilities, as well as advanced geodetics, error modeling and anti-collision. HawkEye™ is on the cutting edge in the industry and has no parallel. Anti-collision. Separation factor. Ellipses of uncertainty. With the steady increase in drilling near offset wells comes increased demand for sophisticated anti-collision data. HawkEye™ is capable of industry standard anti-collision, but takes it a step further with full 3D visualization of the zones of uncertainty. 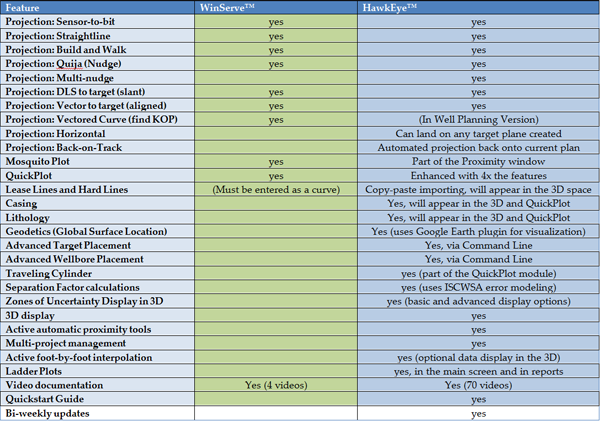 In HawkEye™ all projections are two-click operations. Plots are dead simple. Center-to-center proximity scans can be turned on with a single click. All aspects of the program have been fine-tuned and tailored to make the job of directional drillers easy. On top of the superior usability of HawkEye™ there is the 3D visualization, a rendered space which is not matched by any other survey program on the market. HawkEye™ as a well planning tool is template driven. Customized planning templates can be easily created as can customized plot templates. Once created, these templates can be used to greatly increase productivity. Included with the Well Planning version is a Torque and Drag module, which allows one to predict the torque and drag characteristics of a given well profile as a function of the variables affect torque and drag. 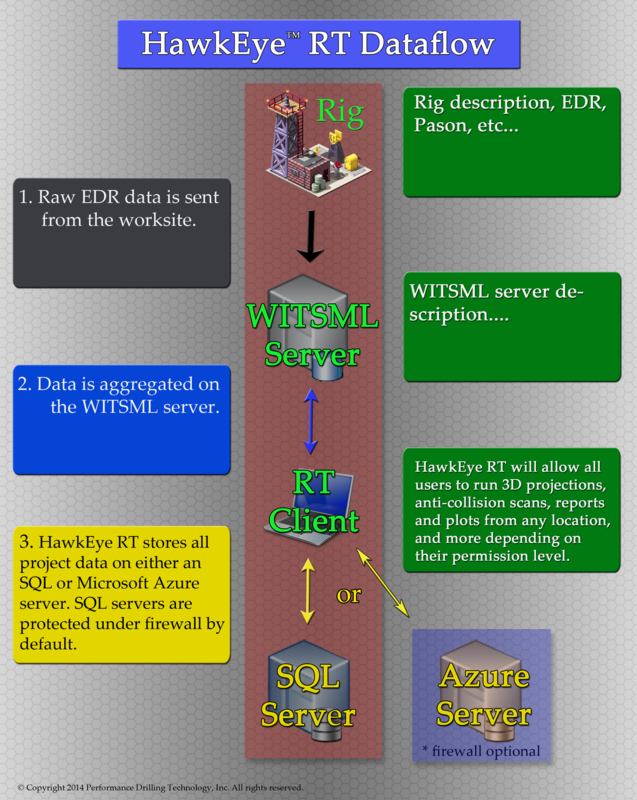 What's the difference between WinServe™ and HawkEye™? 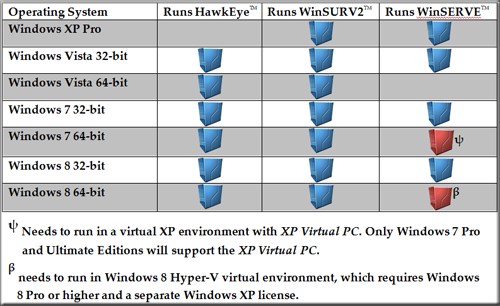 [Note] HawkEye 3.0 and beyond is no longer compatible with Windows XP. Microsoft announced that it will stop supporting XP on April 8, 2014. In the interest of keeping the program light, modern and secure, we have moved towards a more dynamic and powerful database insfrastructure and will no longer support HawkEye in XP. The result is a program that loads 8-40x faster, as well as the ability to integrate the local database installation into central SQL servers. Copyright © 2019 - Performance Drilling Technology, Inc.™ All Rights Reserved.